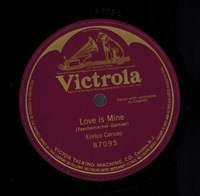 R0110. 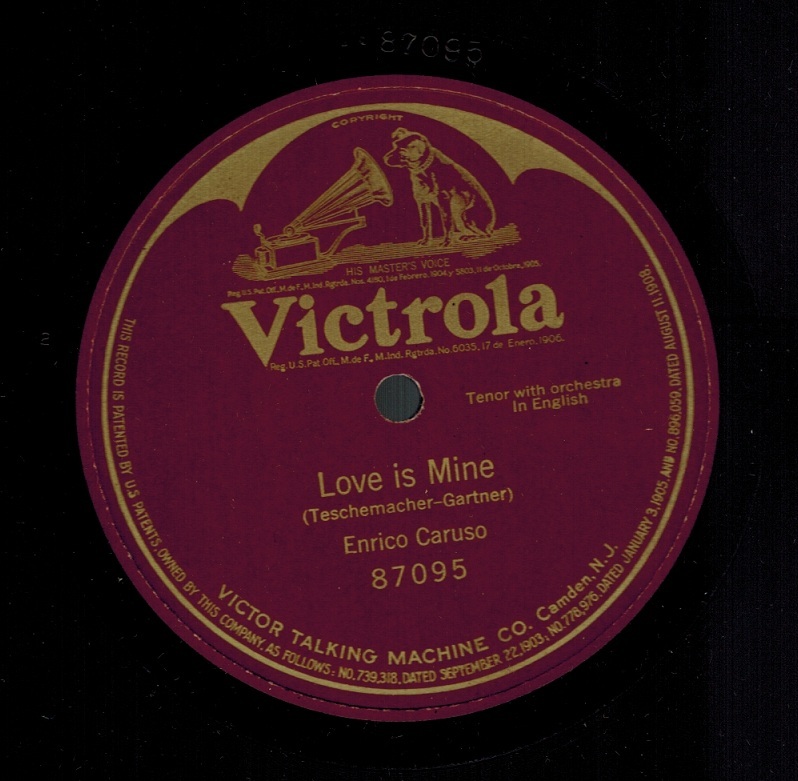 ENRICO CARUSO: Love is mine (Gartner). 10” AC Vla 87095, POM-27 Dec., 1911. Choice copy.